Burton Ales were generally aged and needed cellaring for months before serving, and almost certainly had some degree of secondary fermentation going on during that time. In London, the terms Burton Ale and old ale were interchangeable, but compared to other old ales and barley wines Burton Ale is distinctively dark, sweet and fruity. A bottle of Fuller's Old London Ale, ABV 7.9%, brewed to an Old Burton recipe from 1905. Old Burton is a strong version of Burton Ale. Allsopp’s Arctic Ale, first brewed in 1852 for Captain Edward Belcher’s expedition to search for Sir John Franklin, was originally 11.24% ABV. The subsequent McClintock Arctic Expedition also took Burton Ale. Old Burton was referenced in The Wind in the Willows: "The Rat, meanwhile, was busy examining the label on one of the beer-bottles. 'I perceive this to be Old Burton', he remarked approvingly. 'Sensible Mole! The very thing!" Like most mediaeval religious houses, Burton Abbey, established early in the eleventh century, possessed its own brewhouse able to cater for the needs of both residents and travellers. The excellence of its products had gained national recognition by the mid-fourteenth century according to contemporary literature. With the dissolution of the Abbey in 1540 ownership of the brewhouse passed to the Paget family who did much to encourage the economic development of the town and the surrounding area. Part of this development was the malting of local barley and the brewing of ale at many of the town's inns. Account books from the 1470s for a north Derbyshire gentry family, the Eyres of Hassop, record the purchase of Burton Ale. A Burton brewer assisted in conveying messages hidden in barrels to and from Mary, Queen of Scots during her captivity in the 1580s at Tutbury Castle in Staffordshire. In the 17th century, the Trent valley became more widely noted in London as the source of fine (and expensive) ales, both bottled and in cask. Pepys' Hull ale, Nottingham, Derby and Burton ale, are often mentioned in the literature of the times; and in household accounts they are usually priced per dozen bottles rather than by cask. Prices varied very much, but, when compared with standard London prices for a quart pot of strong drink, they are always in another class, being designed for the fashionable market. In the seventeenth century, the literary evidence (in the absence of production figures), suggests that Nottingham and Derby enjoyed precedence over Burton in the London market. This is probably more from the economic advantages of better transport than an intrinsic superiority of product. Not until the next century did the fame of Burton ale develop in the Baltic area, and then reflect back to its advantage in London and elsewhere. Burton experienced a period of decline in the 17th century, the number of innkeepers falling from 57 in 1624 to 38 in 1656. In 1694, the town was described as "very much ruined and decayed in its buildings and the inhabitants in general much impoverished". Hull and Darby Ales were listed as famous types of ale in a humorous work of 1637 by John Taylor, 'the water poet', and Ashbourne Ale was mentioned in The Compleat Angler of 1653. One source says that Burton Ale was first sold in London "about the year 1630", but there does not appear to be supporting evidence for this date. John Stevenson Bushnan, a 19th century medical expert, wrote that "In 1623 Burton Ale made itself known in London, as Darbie or Derby, from which town it used to reach London. By Gangs of Warehouse-Men in Traffick skill'd. A publication of 1727 lists 36 kinds of malt liquor being sold in London, including Burton Ale, Derby Ale and Litchfield Ale. In around 1708, Benjamin Printon (1680-1728) established a brewery, later bought by John Musgrove, which is considered to be the start of the foreign export trade in Burton Ale. Other breweries in Burton on Trent soon followed, including the businesses of Benjamin Wilson (established 1742), William Worthington (1761) and William Bass (1777). It was Burton Ale that built both the reputations and fortunes of the Burton brewers. Exports were facilitated by the opening in 1712 of the Burton Trent Navigation, constructed by George Hayne. Transport was further aided by improved roads (the Burton to Lichfield and Burton to Derby roads were turnpiked in 1729 and 1753 respectively) and the construction of the Trent and Mersey Canal in 1777. "Fine Burton Ale in hogsheads" was sold on Wall Street in New York City by 1770. As early as 1726 Burton Ale was sent to South Carolina, according to Francis Nicholson (Governor 1721-25). 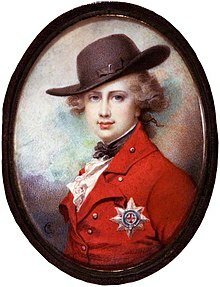 During consideration of the Malt Duties Act 1780 Sir William Bagot, Member of Parliament for Staffordshire, proposed a clause in favour of the brewers of Burton ale, to exempt them from the new tax, because they brewed not for home consumption, but exportation. Lord North said the clause would open a door to fraud, and consequently it ought not to be admitted. The motion therefore was rejected. When the Russian government imposed a prohibitive tariff on beer imports in 1822, Samuel Allsopp introduced a less sweet and more bitter version of Burton Ale and marketed it across England and as far as Australia. In the 1790s, Charles Lamb, the writer, John Mathew Gutch, the journalist, and James White, founder of the UK's first advertising agency, met at the Feathers in Hand Court, Holborn, to drink Burton ale. In 1806. it was noted that "Burton ale is accounted excellent, and great quantities are sent down the river to Hull, and exported to other parts of the kingdom and abroad". It was said in 1810 that "the ale made at Burton-upon-Trent in Staffordshire is smooth, extremely heady, but not clear", and in 1816 that "Burton ale is reckoned the best of any brought to London." William Cornelius Offley's Burton Ale House in Henrietta Street, Covent Garden was a noted tavern and eating house in the early 19th century. Burton Ale was also enjoyed at the University of Oxford, although Brasenose College insisted that its ale was better than all. "How various are the tastes of men in the matter of malt-liquor! One … will drink nothing but the luscious Burton - almost innocent of hops; whilst [another] detests the honey-sweet draught, and regales upon beer of most bitter brewage: some affect the new, and some the old". From India the taste for the thinner bitter ales was brought back to this country, and for many years bitter beers were considered a kind of panacea for want of appetite, loss of digestive power, and many other deranged conditions with which it had no relation. 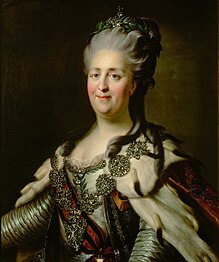 A sort of false appetite for bitterness was stimulated, and less attention was paid to the other valuable characteristics of beer than to the two fashionable requirements - that of paleness and excess of hop flavour. Allsopp's East India and strong Burton Ales. Foreigners visiting England are particularly requested to ask for these favourite Ales. The Pale Ales have been long consumed in the East Indies and all hot climates for their highly wholesome and antibilious properties. The strong Burton Ales (as originally brewed by Wilson and Allsopp) have been celebrated throughout Russia, Prussia, and Germany. The [company's] agents are empowered to give letters of introduction to all respectable Foreigners who may desire to visit the Brewery at Burton-on-Trent. In 1853, the firm opened a depot in London in which year an 18 gallon cask of Allsopp's Strong (the Old Burton) Ale cost 45s, compared to 30s for pale ale and 33s for mild ale. In 1893, Samuel Allsopp & Sons received the highest awards at Chicago for their India pale ale, their stout and their strong ale. Well into the 19th century, Bass had six different versions of Burton Ale, ranging from 6% to 10.5% in strength. Bass No 1, labelled a barley wine, is in fact the last-remaining example of Bass's Burton Ales. In 1876, Bass obtained the first two trademarks ever issued in the UK for its red triangle and red diamond, the latter having been used for Burton Ales since the 1850s. Bass issued several limited bottlings of Bass No 1 Burton Ale to celebrate special occasions, starting with Ratcliff Ale in 1869 and continuing with King's Ale to mark the visit of Edward VII, a friend of Michael Bass, 1st Baron Burton, in February 1902 and Prince’s Ale in 1929 when the mash was started by the then Prince of Wales, later Edward VIII. Bass No. 1 was brewed almost continuously (with a 10-year break from 1944 to 1954) until its discontinuation in 1995, "its demise pretty much marking the end of barley wine production on any real scale the UK". In the same decade one brewer advertised an 'Anti-Burton', a non-intoxicating mild ale. Until the mid-20th century the main types of draught beer served in English pubs remained mild ale, bitter and strong Burton Ale, with Burton Ale continuing to command a premium. In 1955, an American magazine explained to its readers that "It's the draught beers that are tricky. There are three main types: bitter beer, very strong and light colored; mild ale, sweeter and darker, and cheaper: and Burton or 'old', very dark, on the sweet side, and generally strong." 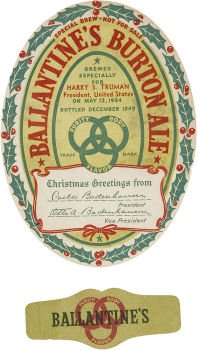 The American brewery Ballantine's brewed a Burton Ale to give to distributors and VIPs, including the White House. The expression Gone for a Burton, coined by airmen during World War II as a euphemism for missing in action (crashed 'in the drink'), may mean someone who had gone to the pub for a beer. At least eight London brewers were still making a Burton in the mid 1950s, and Courage at the Horsleydown brewery would send out showcards to its pubs saying 'Courage Burton is now on sale for the winter season". Barclay Perkins produced a draught Winter brew, "a dark beer of medium bitter taste with a mellowing sweetness", and bottled No 1 Southwarke Ale, "dark bitter sweet, of deceptive strength … rather similar in style to a Younger’s No 3 Scotch Ale". In Younger’s London pubs in the 1950s, No. 3 took the slot occupied by Burton in local brewers’ boozers. In many ways, it was quite close to a London-brewed Burton, though with a lower level of hopping. However, the fall in popularity of darker ales in the 1960s meant that Burton Ale rapidly almost disappeared. Young's Winter Warmer (Young’s Burton until 1971) is a ruby-brown classic of the sort of ales that developed from those brewed in Burton upon Trent before that town became best known for heavily hopped pale ales and IPAs: well-rounded, mellow, old-oak dark, 1055 OG, but only five per cent ABV, and with a brown, fruity sugar tang (from the 'YSM', Young’s special, proprietorial mixture of brewing sugars that go into the copper along with the wort) offset by a hint of bitter undercurrent.… Once almost every London brewery made beers like this for winter consumption, and large numbers of other brewers around the country did so too, on draught and in bottle. This was a beer with its roots in the lightly hopped ales of the 18th century and earlier, where malt flavours and strength were the qualities brewers and drinkers sought, not hoppiness. Marston's Brewery's Owd Rodger Strong Ale is another surviving beer that was formerly sold as a Burton Ale. Fuller Smith and Turner replaced its Burton ale with a strong bitter, ESB, in 1969, but Fuller's ESB retains something of its Burton Ale heritage and Fuller's 1845 Ale is based on a Burton Ale recipe. Fuller's has also recreated two Old Burton recipes in its Past Masters' series, a 1905 Old London Ale and a 1931 Old Burton Extra (OBE). Fuller's OBE has been described by Des de Moor as "a relatively strong version of the style at 7.2%, made from pale and crystal barley malts boosted by maize and brewing syrup. The hops are a traditional combination of English Fuggles and Goldings used both in the copper and to dry hop the beer. The result is a rich deep Burgundy brown with a thick yellow beige head. There’s sultana and chocolate on a rich, smooth, malty and slightly spicy aroma with honey, black grape and a subtle hint of violet. A thick, cakey and very fruity palate dries rapidly, revealing roasted notes over a treacle base with spicy orange around the edges. A charred dry finish has an almost iron-like quality, with more chocolate, cake and spice." Truman's Brewery has recreated a 1916 No 1 Burton Barley Wine. Everard's formerly produced Burton Ale; the company now offers a strong ruby ale called Old Original. Some strong dark mild ales such as Timothy Taylor's Ram Tam resemble Burton Ale, as does Theakston's Old Peculier. Other dark ales – so not stouts or porters – of between 5.5 per cent and 7.5 per cent abv, strongly malt forward, muted hop flavours, though with bitterness in the background, lacking the roast, chocolate and coffee flavours that stouts and porters have, with a balanced, often full and fruity sweetness, include Adnam’s Tally Ho (which has hints of liquorice, too) and Broadside, and Greene King’s Strong Suffolk. Ind Coope produced Draught Burton Ale between 1976 and 2014, but although it was advertised as the ale that Mary Queen of Scots drank while imprisoned in Tutbury Castle, DBA wasn't a Burton ale at all, but a pale ale. Whilst the emergence of golden ales has seen a shift away from dark beers in modern ale brewing, some microbreweries have recreated the stronger, darker styles of the past, and the listing sections of successive Good Beer Guides are packed with stouts, porters, barley wines and old ales. Craft brewers in the US, UK and elsewhere have brewed Burton Ales, described as such, based on old recipes. Burton Ales have been brewed by Foggy Noggin Brewing, Bothell, Washington, Big Choice Brewery, Brighton, Colorado, Culmination Brewing Company, Portland, Oregon, Marko Paulo brewery and its micropub, The Owl & The Pussycat, London, and the Twisted Hop Real Ale Brewery in Christchurch, New Zealand. Historic Burton Ale recipes are also available for homebrewing. Ballantine Burton was one of Fritz Maytag's inspirations in the creation of his Old Foghorn Barley Wine at the Anchor brewery, in San Francisco. and the Pabst Brewing Company recreated Ballantine Burton Ale in 2015. To mark its 25th anniversary, Brewers of South Suburbia, an Illinois not-for-profit corporation, recreated Allsopp's Artic Ale. Pretty Things Beer & Ale Project have also recreated a 1901 Burton Ale KK. ^ Back to the local, Maurice Gorham, Faber & Faber, 1949. ^ Come back for the Burtons, Martyn Cornell, 8 October 2007. ^ Barley wine and old ale, Martyn Cornell, 14 September 2010, quote: "there were three different types or traditions of strong beer, besides Imperial stout: strong Burton ales, like Bass No 1; strong stock bitters (think Fuller's Vintage Ale); and strong ales of the XXXXX type, darker than but not as fruity-sweet as a Burton, and less hoppy than stock bitters or Burtons (Gale's Prize Old Ale being a classic example, a beer with dark mild at its weaker, younger end). … There are hints (see Keith Thomas's researches) that beers called Old Tom were dryer, paler and weaker than beers called Stingo, but my impression is that most brewers went for the XXXXX style of strong ale, dark and sweetish but not fruity, and paler strong beer of the stock bitter type were rare until Tennant's of Sheffield introduced Gold Label in 1951." ^ Samuel Pepys's diary entry for 4 November 1660 records "Thence to my Lord’s, where I found Mr. Pierce, the surgeon, and with him and Mr. Sheply, in our way calling at the Bell to see the seven Flanders mares that my Lord has bought lately, where we drank several bottles of Hull ale." ^ A History of the County of Stafford: Volume 9, Burton-Upon-Trent, Victoria County History, 2003. ^ Drinke and Welcome: Or The Famovs Historie of the Most Part of Drinks, in Use Now in the Kingdomes of Great Brittaine and Ireland : with an Especiall Declaration of the Potency, Vertue, and Operation of Our English Ale, allegedly by the fictitious Huldrick Van Speagle and translated by John Taylor (the real author), 1637. See Swag-Bellied Hollanders and Dead-Drunk Almaines: Reputation and Pseudo-Translation in Early Modern England, Demmy Verbeke, 2010. ^ The complete angler, of Izaak Walton and Charles Cotton, with variorum notes, ed. E. Jesse, 1856, the editor saying that Ashbourne Ale "is now famous throughout the Northern and Midland Counties, and is not surpassed for strength, purity, and flavour, even by Nottingham ale". ^ Panala ala Catholica, or a Compound Ale, which is a general purge and generous medicine for most infirmities incidental to the bodie of man - being familiar, safe, and convenient for all ages, sexes, and constitutions, by William Folkingham"
^ Milk-street in A vade mecum for malt-worms: or, A guide to good fellows. Being a description of the manners and customs of the most eminent publick houses, in and about the cities of London and Westminster. With a hint on the props (or principal customers) of each house. In a method so plain that any thirsty person (of the meanest capacity) may easily find the nearest way from one house to another, Edward Ward 1667-1731, n.d.
^ A Dissertation Upon Drunkenness: Shewing to what an Intolerable Pitch that Vice is Arriv'd at in this Kingdom. Together with the Astonishing Number of Taverns, Coffee-houses, Alehouses, Brandy-shops, &c. Now Extant in London, the Like Not to be Parallel'd by Any Other City in the Christian World. Also an Account of the Pride, Insolence, and Exorbitance of Brewers, Vintners, Victuallers, Coffee-house-keepers, and Distillers ; with the Various Arts and Methods by which They Allure and Excite People to Drink and Debauch Themselve. The Whole Proving, that If this Drinking Spirit Does Not soon abate, All Our Arts, Sciences, Trade, and Manufactures Will be Entirely Lost, and the Island Become Nothing But a Brewery Or Distillery, and the Inhabitants All Drunkards, Anonymous, printed for T. Warner, 1727. See also Bernanrd Mandeville and 'A Dissertation upon Drunkenness ', Gordon S Vichert, 1964. ^ River Trent and Trent Navigation, quote: "Previously it had been unsafe to take a boat past Nottingham but the new improvements allowed navigation all the way to Burton-upon-Trent." ^ Burton-on-Trent: Its History, Its Waters, and Its Breweries, William Molyneux, 1869. ^ The history and antiquities of Staffordshire, Volume 1, Stebbing Shaw, 1798. ^ "I have given Captain Massey [who is going out to the colony] two guineas, as I have done two others to Mr. Splatt to drink with yourself and the Honourable Gentlemen of the Commons House of Assembly, and when it is doing, to be present with you would be acceptable to [me]. I hope the Burton Ale I sent by Capt. Clarke for you proved good. ", Calendar of State Papers Colonial, America and West Indies: Volume 35, 1726-1727 Calendar. According to The London and country brewer by William Ellis (brewer), 1737 there was no locally brewed malt liquor in South Carolina at that time, but rather a beer brewed from molasses and the pine tops of the turpentine tree. ^ The Poetical Works of John Langhorne, D.D. With the Life of the Author, Cooke's edition, 1798. See also Life of John Langhorne, R Davenport in The British Poets Volume LXV, Langhorne, 1822. ^ Survey of London: Volume 36, Covent Garden London County Council, London, 1970. Offley's, Henrietta Street in Club Life of London with Anecdotes of the Clubs, Coffee-Houses and Taverns of the Metropolis During the 17th, 18th, and 19th Centuries, John Timbs, Volume 2. It was a favourite haunt of George Moutard Woodward, see Reminiscences of Henry Angelo, 1830. ^ Allsopp and Sons' Burton Ale warehouses in Haydon-square, Minories, occupying 20,000 square feet, were listed in John Murray's Handbook to London as it is for 1867 as a sight which a stranger must see. 1867 also saw the creation of a beer depot in the lower floor of St Pancras railway station to transfer beer from Burton to London pubs. ^ Brewing in Burton-upon-Trent, Ian Webster; Beer: The story of the pint, Martyn Cornell, 2003. ^ Barley wine in The Oxford Companion to Beer, ed. G Oliver. Bass No. 1 is still occasionally produced for CAMRA beer festivals. ^ Cox & Co in The Coffee Public-House News, 1886. See also The 'Anti-Burton' Ale Brewed by Cox & Co., 178 York Road, King's Cross, London, is a Sparkling and Brilliant Non-intoxicating Beverage of Considerable Dietetic Value, reprinted 2010. ^ 1905 Old London Ale, quote: ""Stronger than Mild and darker than Bitter, Burton Old was a particular favourite in London pubs - especially during the colder months." ^ Fullers revives forgotten beer style, The British Guild of Beer Writers. ^ Brewing in Burton-upon-Trent, Ian Webster, Amberley Publishing Limited, 2018. Burton Bridge Brewery revived DBA in 2015. ^ Burton Ale KK, Alex J Berezowsky, 2015, quote: "What’s old is new again! Originating in Burton-on-Trent, the Burton ale was a popular English ale before being supplanted by pale ales and IPAs. The KK designation denotes that the beer was for 'keeping', meaning it was high in both alcohol and hopping. When Pretty Things Beer and Ale Project attempted to recreated the style using a historical recipe from 1901, the brewers discovered that the combination of roasty, dark malts and aggressive hopping was a dead ringer for a more modern beer style: the Black IPA."